So I got ribbed for posting this one earlier with a terrible filter on it. FINE! Here’s the pic and another one. it’s name is rosy? not rosey? So it’s like pronounced like “ross-ey”? But I suppose the pronunciation of a name is up to GTC. why are all your pictures medeocre as hell? 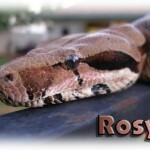 Rosy is also a breed of Boa Constrictor. But those are not Rosy boas. They look like columbian/red tail boas. I don’t know much aboot boas, only pythons. Yes she is a Columbian Boa Constrictor, and it’s ROE-SEE. I named her for the color, but there are in fact two indigenous boa species in the U.S. – one of them being a rosy boa. They rarely exceed 3 feet and have brownish bands on a cream backround usually. 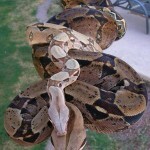 The smaller boa here is a true Red Tail Boa. I also have 2 adult California king snakes, a juvenile Ball Python and a Brazilian Salmon Pink Bird Eater Tarantula. I apologize for the mediocrity. 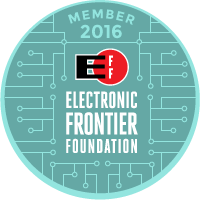 I can send higher res stuff – frankly I wasn’t aware that server space was not an issue. server space is never an issue. MCS is a highclass joint ya’ll. Could you post some pics of the tarantula? I know how cool tarantula’s can be, I used to have a mexican redknee. I’m just curious since I haven’t heard of someone having a birdeater as a pet. Check this out. This is what he/she could be like. Maybe bigger. Ahh cool. I have a california king snake as well i also had a tangerine honduran milksnake but she died : (. I also had two ball pythons but had to give them away when i moved out of my moms place so now all i have is my little cali king. I have owned a Mexican milk snake for fifteen years, and it has been a damn fine pet.